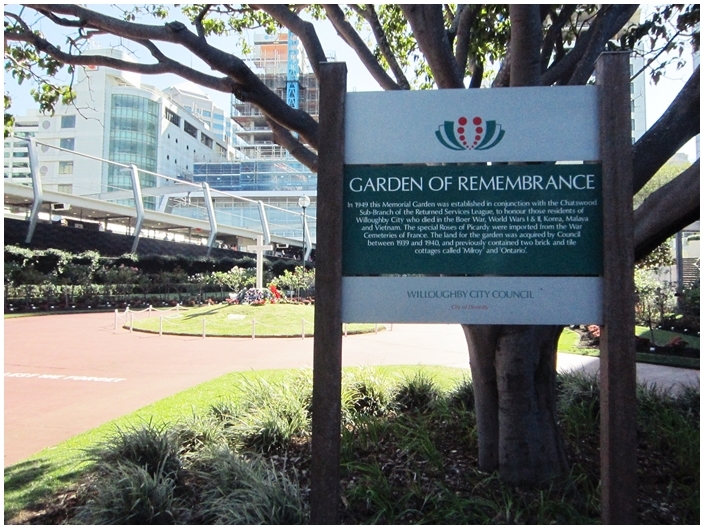 Formerly the site of two brick and tile cottages at Albert Avenue, Chatswood - Milroy and Ontario, it is now the Garden of Remembrance. 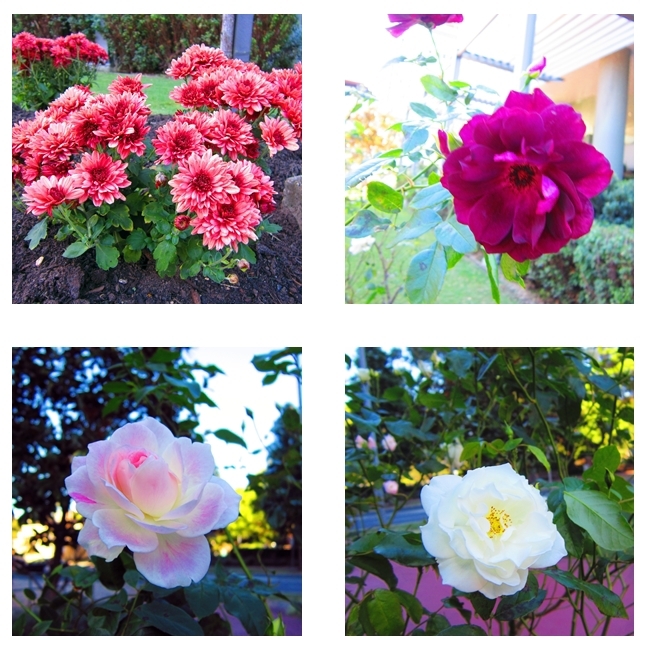 Located only 150m away from Chatswood train station, you can actually see the garden from train platform no.1. 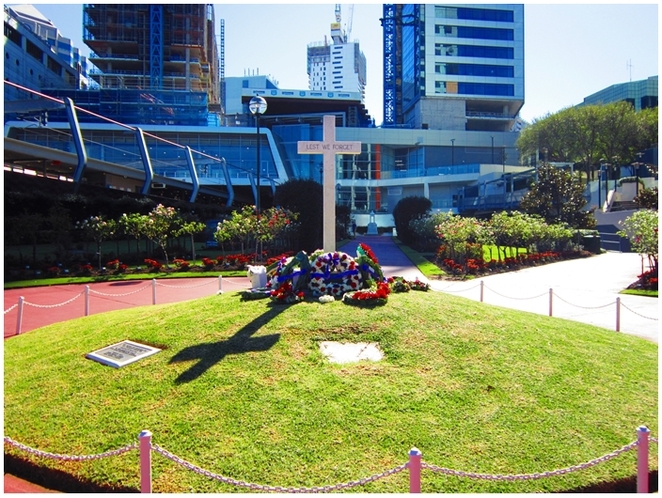 I've never bothered to visit the garden but on Anzac Day, I decided to check it out upon seeing bouquets of fresh flowers and wreath lying beneath the cross. The Garden of Remembrance was established in1949 to commemorate the residents of Willoughby who had sacrificed their lives in the Boer War, World War I & II, Korea, Malaya and Vietnam. 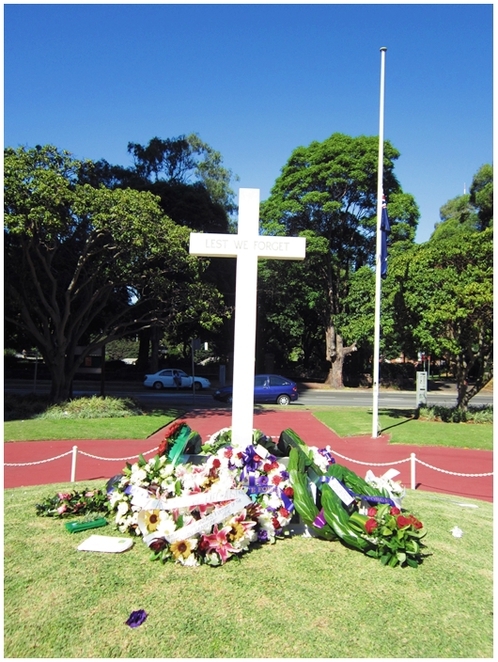 Every year on Anzac Day, a dawn service is held at 5.25am near the cross of remembrance. 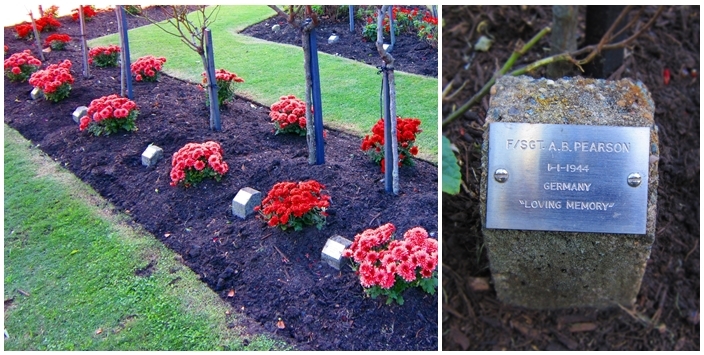 There are many interesting features in this memorial garden including the various types and colors of flowers. Red roses signifies physical strengths while white symbolizes spiritual sacrifices made by the locals during the war period. 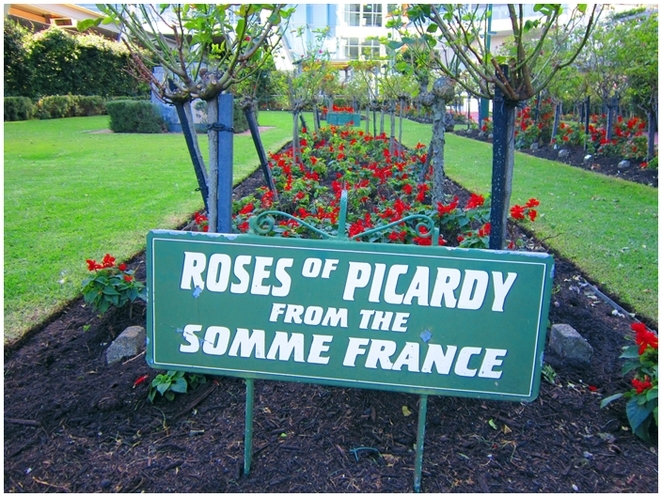 According to Willoughby council's information, the special roses of Picardy planted in the garden were imported from Villiers-Brettonneux and Delville-Wood war cemeteries in Somme area of France. During World War I, more than 30,000 Australian soldiers were killed in that area. Each plaque is inscribed with the name of service personnel who was killed during the war. 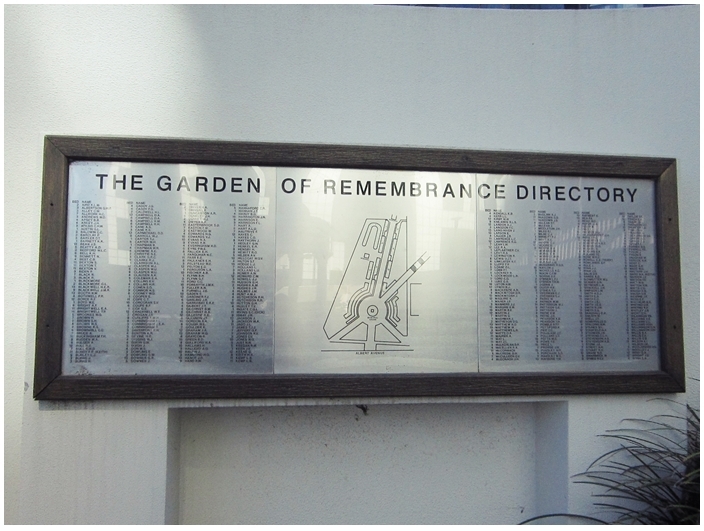 A directory of people's names who are being commemorated can be found at the far end of the garden. The garden has wide and well-maintained pathways. One of them even has a message which reads "They gave their today for your tomorrow"
Another interesting feature in the garden is the Cross of Remembrance, located at the front of the garden adjacent to Albert Avenue. It was erected on grass mound which was said to resemble tin hats worn by World War I soldiers. The cross was engraved with the phrase "Lest We Forget". 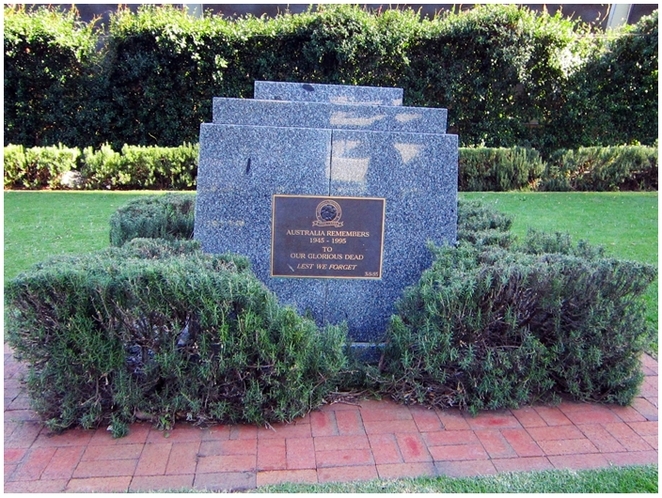 The Australia Remembers Memorial is also part of the features in the garden. It is surrounded by rosemary plants which were originally brought home by an injured personnel from Gallipoli in 1915. 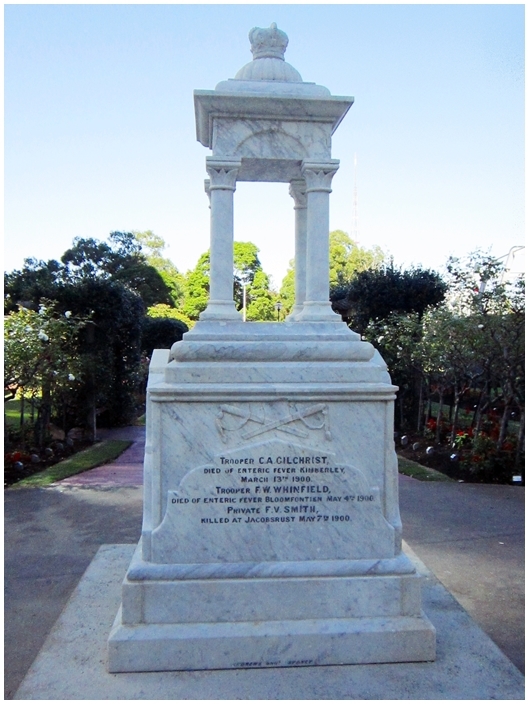 A marble fountain at the end of the garden was erected by the people of Willoughby to honor local volunteers who have died in Boer Wars which is sometimes referred to as the "South African War". 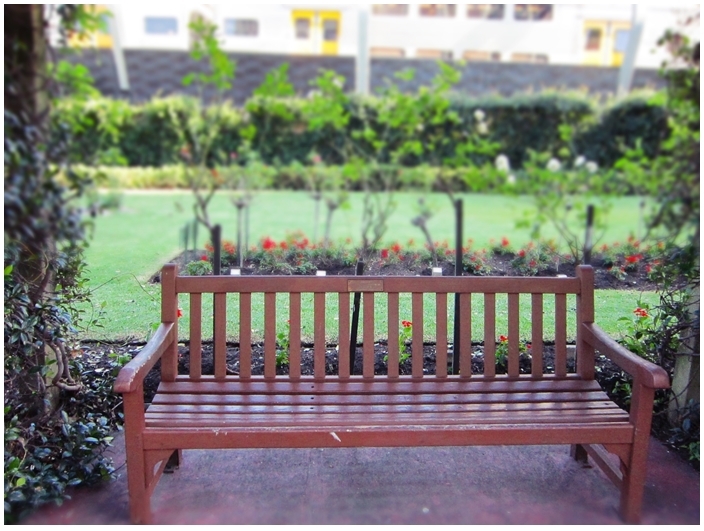 There are four shaded benches in the garden, surrounded by climbing plants along the central path for visitor to rest. Given its location just next to a railway track and a busy road, the garden may not be quiet due to the traffic noise. However, if one needed some timeout from the bustle of work or shopping, then this is a pleasant spot for personal reflection or simply to be alone.